I’ve basically cheered on most of the changes made in The Young and the Restless these past three months. Characters like Nick, Phyllis and even Sharon have been fixed by giving them more clarity and strength. The new sets, like Avery’s living room/kitchen and Nick’s bar, are awesome. Ditto the new music and lighting. Happily the dialogue has improved, too. A much needed housecleaning broomed out a half dozen characters that won’t be missed. Under its new leadership, Y&R has had one classy facelift. The only problem I see is that I have trouble getting through many episodes. Where’s the excitement? The improvements are nice, but I’m still waiting for a story that really interests me. The only plot that’makes me want to tune in every day is Jack’s pill problem. 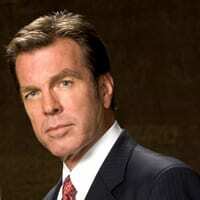 Much of the credit goes to Peter Bergman for his tour de force performance. But the secret of the plot’s success is that it has moved very fast. In less than three months, Jack has moved from addiction, to self-directed rehab, to recovery. The sprightlier storytelling fits in with what I wrote about in my last column: we’re in the Internet age, and up until now the only other soap that has really stepped up the storyline pace is General Hospital.